Rehoboth Beach Yacht and Country Club located in Rehoboth Delaware is conveniently located to the boardwalk and all beach activities. Full time residents enjoy the large lots which provide privacy in this beach town known as one of Americas favorite family summer time destinations. Membership into the Rehoboth Beach Yacht and Country Club is optional and one must be invited to apply. 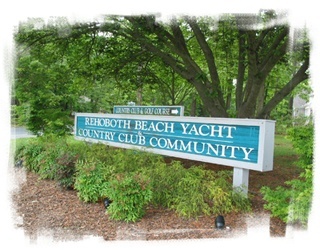 Rehoboth Beach Yacht and Country Club was developed in 1981 and special care was taken to keep many of the stately tress which are abundant throughout the community. 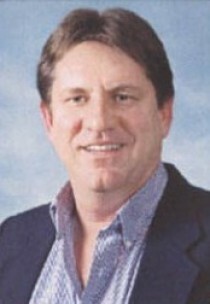 This gives the community a state of elegance and stability. 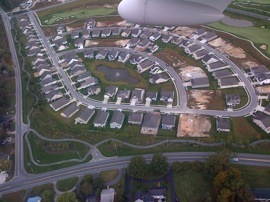 There are a few sections of the community, and some homes are on the golf course, canal ,and even the Rehoboth bay. Prices of these homes vary greatly. Some homes sell for the mid $300k range up to well over $1 million. There are a few lots available for sale in Rehoboth Beach Yacht and Country Club RBYCC which enable someone to build their perfect dream home in this outstanding community. Rehoboth Beach Yacht and Country Club RBYCC is located west of route 1 and is in the Cape Henlopen school district. There are many homes with boatslips and the canal that meanders thru the community provides easy access to the Rehoboth Bay and then into the Atlantic Ocean via the Indian river inlet. The private golf course is a perfect use of open space and many homes dot the tree lined course. The community has taken special care to assure that the homes are utilized by the owners and not investors by not allowing the weekly rentals that are so prevalent in a beach community. This helps guarantee that buyers take pride in home ownership and is geared towards the full time resident.